Although Obama’s 2014 Budget Proposal Pushes Estate Taxes back to 2009 Terms, You Should Be Thinking Ahead! 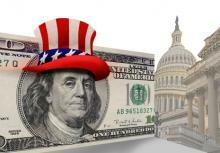 President Barack Obama’s April 10 FY 2014 proposed budget contains a number of estate, gift, and generation-skipping transfer (GST) tax proposals. Starting in 2018, it is proposed that the tax scenario will revert back to 2009 rules in order to trim the $1.8 trillion deficit, namely by relying on taxing the estates of high-income earners. What does this mean for you? This means that over time much smaller estates would be taxed at a much higher rate that may threaten the wealth you worked your whole lifetime to accrue. With the unpredictable budget proposals affecting estates across Florida, it is crucial to schedule a routine review with a well-versed South Florida estate planning attorney. For more information on successful Florida estate planning and effective asset protection tools, please contact the South Florida law firm of Wild Felice & Partners, P.A. at 954-944-2855 to schedule your free consultation. Being properly informed is the best way to stay a few steps ahead of the shifting estate tax patterns. As President Barack Obama officially declared the Boston Marathon explosions “acts of terrorism,” Americans were quick to rally and show off the true spirit of our nation. Tons of Boston businesses handed out supplies and offered safe havens for all affected. Hotlines opened up as did blood banks throughout the US and in South Florida. And as always, the donations of generous Americans started rolling in. In the wake of yesterday’s tragedy, we are reminded with just how fragile life is and how lucky we are. 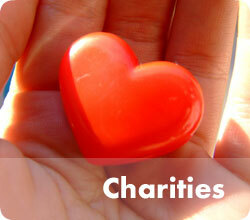 Many of us want to donate to charities that help victims and their families. For those fortunate enough to make sizeable donations, the US government rewards such gratuity. A smart way to qualify for income tax and estate tax deductions are through two common estate planning techniques known as Charitable Lead Annuity Trusts or Charitable Remainder Trusts. Charitable Lead Annuity Trusts (“CLATS”) allow an individual to transfer their assets to a beneficiary upon their death who can then donate the assets to a charity of their choosing. This will be treated as a charitable deduction and can substantially reduce your overall federal estate tax. A Charitable Remainder Trust (“CRT”) is an irrevocable trust. Once created, this trust distributes a portion of its assets at least once a year to a non-charitable beneficiary. After a specified number of years or upon the death of the trustee, the remaining balance in the trust is donated to a designated charity. This type of trust can immediately reduce an individual’s taxable income. But the intricacies of such charitable trusts are best handled by experienced Florida estate planning attorneys. For more information on Florida income tax and estate tax deduction techniques, please contact the South Florida law firm of Wild Felice & Partners, P.A. at 954-944-2855 to schedule your free consultation. 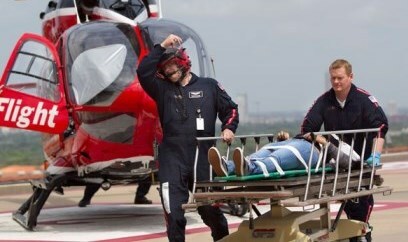 Stabbing Catastrophe Strikes College Campus in the Lone Star State. Plan Ahead to Prevent Chaos in Your Life! The world watched in horror as the stabbing spree at a Texas Community College unfolded on Tuesday, April 9th. At least 14 people were injured at the hands of mentally unstable student Dylan Andrew Quick, 20. Quick used a “razor-type knife” and began slashing students in between classes. Amazingly, none of the injuries were fatal. This can be attributed to the quick response of fellow students and faculty who tackled the stabbing suspect to the ground and sat on him until Rescue Workers arrived. Unfortunately random acts of violence have become all too common. But proper planning helped mitigate the injuries in this attack. Employees, staff, and students in every profession have gotten the message that if chaos strikes, don’t sit idly by and hope for the best. That’s too risky. The same can be said of unexpected circumstances in life such as sudden accidents or death. We can’t prevent catastrophes, but we CAN have a contingency plan in place in case they do occur. Severe injury or death of a loved one is always followed by panic, shock, and frequently chaos. In case you become disabled or incapacitated in Florida, who will call the shots? Who will give informed consent regarding the type of medical treatment you should receive? Durable Power of Attorney – will allow the designated person(s) to manage your financial affairs should you become mentally or physically unable to do so. Designation of Health Care Surrogate – allows the designated person(s) to make medical decisions on your behalf. HIPAA Release – HIPAA (the Health Insurance Portability and Accountability Act of 1996) requires health care providers to be very careful how they release health care information. You will name one or more persons who will be able to have access to all of your medical information. Living Will – will state whether you want your life to be artificially prolonged or whether you prefer to be allowed to die naturally. The best way to be certain of which supplemental documents you need as part of your estate plan is to consult with your estate planning attorney. For more information on successful Florida estate planning and medical designation choices, please contact the South Florida law firm of Wild Felice & Partners, P.A. at 954-944-2855 to schedule your free consultation. You’re Fired! 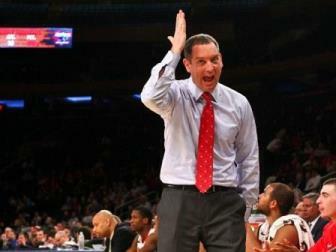 Rutgers Basketball Coach, Mike Rice, Forced into Early Retirement. Tempting, Right? Athletic officials from the New Jersey University, Rutgers, announced the early termination of their infamous Men’s Basketball Coach, Mike Rice. The decision was based on a videotape depicting Rice hurling balls and gay slurs at his players. As ESPN broadcast the incriminating footage, Rice’s behavior can be summarized in one word…foul. Everyone from LeBron James to Governor Chris Christie weighed in on the coach’s shameful behavior. The inevitable decision to fire Rice 3 years into his 5 year contract sealed the fate on his career. Rice will be forced into an unexpected early retirement. Given the state of our economy, many South Florida residents have also had to face the prospect of an early unexpected retirement. So what happens when you find yourself without the steady income of a job and bills to pay? Though it is best to avoid taking money out of your retirement plan, emergency situations such as job termination, divorce, sickness, and economic crashes can get the best of us. You may be pleasantly surprised to find out that there are some instances when you can take money out of your retirement plans without paying the 10% federal penalty imposed by the IRS. Borrow from your own 401(k). You can legally borrow up to $50,000, or half your vested balance, whichever is less, from your 401(k). Most big firms allow these loans and give you up to 5 years to repay it without any taxes or penalties. However, if your job terminates for any reason, your ex-employer will likely demand repayment, otherwise the outstanding balance will be treated as an early distribution, subject to penalties. Paying Large Medical Bills. You can request a distribution from an IRA or 401(k) without any penalties for CERTAIN medical expenses. Note that only expenses that are more than 10% of your adjusted gross income will qualify. Paying for Health Insurance. If you become unemployed, you can take money out of an IRA account (not a 401K) to obtain health insurance for yourself, spouse, and dependents, without paying a penalty. To qualify, you must be collecting unemployment for at least 12 weeks and this exemption ceases 60 days after starting a new job. Disability. If you become disabled before age 59½, you may be able to take penalty-free distributions from an IRA. However, you must carefully understand what qualifies as a permanent physical disability that prevents you from being gainfully employed, as per Uncle Sam’s legal and medical guidelines. Inheriting an IRA. If you are the beneficiary of a deceased owner of an IRA, you can take money from an “inherited IRA” without penalty at any age. Note that if you roll the inherited IRA into your own name, you lose the ability to take out money without paying the penalty. Note that unlike an IRA, a 401k will automatically transfer to a surviving spouse no matter who the designated beneficiary is. Paying for Education. You can take money out of a pre-tax IRA account to pay for undergraduate or graduate tuition, books, supplies, and fees for yourself, your children, or grandchildren. Be careful however, because IRA withdrawals will count as income and MAY limit eligibility for financial aid for the following year. First Home Purchase. You can take up to $10,000 penalty-free from an IRA (not a 401K) to pay for the purchase or building of your first home. If both you and your spouse will be first time homeowners, the amount doubles to $20,000. But with all of these tips, the devil is in the details. It is always best to seek the advice of a well-seasoned Florida attorney before making any major financial decisions. With the help of our experienced South Florida estate planning attorneys, we can make the complex United States tax-code work for you, no against you! For more information on successful Florida early retirement tips and asset protection techniques, please contact the South Florida law firm of Wild Felice & Partners, P.A. at (954) 944-2855 to schedule your free consultation.